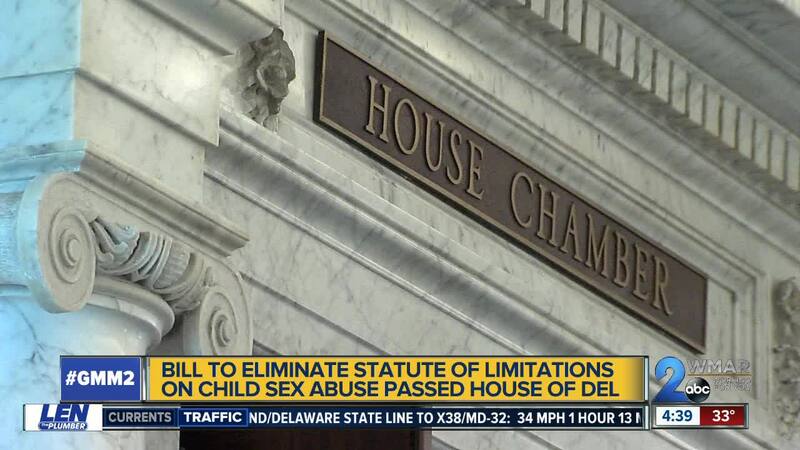 The General Assembly is in its final push and is working to pass bills that focus on child abuse, school start dates, and tobacco age. ANNAPOLIS, Md. (WMAR) — The legal minimum age to buy tobacco products could soon be changing in Maryland. This week both chambers of the Maryland State Legislature overwhelmingly passed bills to increase the buying age from 18 to 21. House Bill 1169 was passed 100-39 while Senate Bill 0895 passed by a 35-11 margin, both veto proof majorities. The Senate and House versions slightly differ, meaning both are likely headed for a conference committee which would allow the two sides an opportunity to reach a settlement on the proposed language of the bill. If an agreement is reached, the bill would advance to Governor Hogan's desk to be signed into law. “Increasing the age of tobacco sales to 21 will help protect youth from tobacco, which remains the leading cause of preventable death in the state. An estimated 1,900 Maryland kids become new daily smokers every year and e-cigarette use has become an epidemic among our youth according to the US Surgeon General. Given that 95 percent of adult smokers begin their deadly addiction before they turn 21, this is an important step in protecting future generations."